We hear this all the time: a calorie is a calorie! But turns out, according to the latest research, it’s just not quite that simple. (This is just another reason why we think obsessive calorie counting is for the birds!) Don’t believe us? Jonathan Bailor, the author of The Smarter Science of Slim, is here to break things down. His book, which simplifies the analysis of more than 1,100 scientific studies to provide a proven lifestyle for lasting wellness by focusing on the quality of food and exercise, breaks all this down and more. Below is just a snippet of his wisdom! Just about everything we’ve ever been told about weight loss involves eating less. Why? We’ve been led to believe that a calorie is a calorie, and therefore if we eat fewer calories we’re good. Reasonable, but how effective has that theory been? Worldwide, there are now 30 percent more people who are obese than are going hungry, and lifestyle- and dietary-related disease are estimated to kill more than twice as many people as infectious disease, while costing our global economy $47 trillion over the next 20 years. What’s going on?! In the past 40 years, we have either witnessed the first-ever spontaneous world-wide radical genetic mutation that turned us all into lazy gluttons—or what we’ve been told to do to stay healthy and fit is incorrect. After analyzing more than 1,100 scientific studies, I was thrilled to discover that we’re not all becoming X-Men, but rather, much of what we’ve been taught about how to stay healthy and fit is not supported by science. This guy drives me nuts! I’ve listened to his podcasts and this is more of the same rhetoric. And I don’t buy it. He’s missing the point completely. Yes, calories come in many shapes and sizes. Yes, some provide obvious benefits while some are pure crap. We all know this (or should). But we need to realize calories ARE important to weight lose. The key here is that the kinds of calories you eat will be a key tool in your success in losing weight. (Which I believe he’s trying to get at here.) If you restrict calories and eat junk, you’ll probably lose weight. Fact. But high sugar, high starch diets will leave you exhausted and hungry making it completely unrealistic to stay on for a long period of time. My main issue is that he does not acknowledge the importance calories have in our biology. In his first point he talks about how increasing protein reduces hunger (yes!) and allowed participants in the study to decrease their intake by 441 calories a day. The reduction of those 441 is what has fostered the weight loss! I’m not advocating obsessive calorie counting, our bodies are smarter than we think. If you fill your diets with lean proteins and nutrient dense foods, you’ll have more energy, you’ll be less hungry, and you’ll probably curb you craving for the junk. But in the end, it’s all about balance. Lets advocate that! Anywho, love you girls!!! Keeps up the thought provoking, lifestyle influencing blogs! Hi Catherine – Sorry for driving you nuts 😉 You are 100% correct that calories count. I discuss this in my book when I talk about creating both the need (shortage of exogenous energy) and ability (proper hormonal environment) to burn fat. However, I’m not sure this means we need to count calories. I always wonder, “Why do we need to count calories now, given that prior to the obesity and diabetes epidemics, few if any people knew what a calorie was let alone counted them?” Could the need to count calories come from the wrong quality of food impairing our body’s proven ability to balance calories for us? If so, could counting calories work? Yes. Does that make it necessary or the most sustainable or healthful option? My research and experience suggests no. Do calories count? Absolutely. Do we need to count calories to avoid obesity and diabetes? The evidence seems to say pretty clearly “no” considering that ~90% of us avoided obesity and >99% of us avoided diabetes prior to knowing what a calorie was. Do we need to count calories if we continue to eat the types of foods that are causing the problem? Yes. Might it be easier to simply eat the foods we ate before the obesity and diabetes epidemics? Yes. You mention balance in your comment. What about eating SANE food when you are hungry and stopping when you are full seems unbalanced to you? I hope this helps and thank you for interest and feedback Catherine. Welp, that’s embarrassing! I didn’t expect a response from the author! No disrespect. I wasn’t trying to say that your approach is unbalanced in terms of dietary needs. For that matter, I like the SANE analogy. I think in terms of nutritional needs it’s great. But I guess my point wasn’t that your approach isn’t balanced, more so, you’re not addressing in the article that we’re kind of talking about two different things. Reducing calories will lead to weight loss, that’s the first part. From there, using different kinds of calories will improve the efficiency and longevity of weight loss. Catherine, I’m not exactly clear on your position. Correct me if I am wrong, but your position seems to be that a reduction of food caloric intake is the main trigger behind weight loss (eating less). The SANE foods proposed by Mr. Bailor make it easier for one to eat less, which is the main reason that people will lose weight. For example, it’s nearly impossible to eat the quantity of spinach that will be over a set amount of calories per day. Spinach has about 104 calories per pound, so if you need 2,000 calories to “break-even”, it would be clearly improbably that one would eat 20 pounds of spinach, and would lose weight. I think this methodology goes back to the (flawed) view of thermodynamics, in which we are human bank accounts. I believe Mr. Bailor is trying to say this is automatically regulated by hormones, that is, if we increase or decrease the amount of food and/or traditional exercise, our bodies will automatically adjust the hormones, and the “burned” calories per day. In addition, a deficit of calories does not necessarily lead to a loss in adipose tissue, in fact I believe that in most people, after the metabolism is slowed down, muscle tissue is expunged, and then adipose tissue MAY be eliminated. Likewise, back to the thought of drinking water, we can easily tell at any given moment if we are “thirsty”, “just right”, or “over-saturated” with water. I doubt that most people keep accurate tabs on the number of gallons/liters of water they drink per day, yet managed to stay satisfied with their water intake, barring extreme environmental conditions. 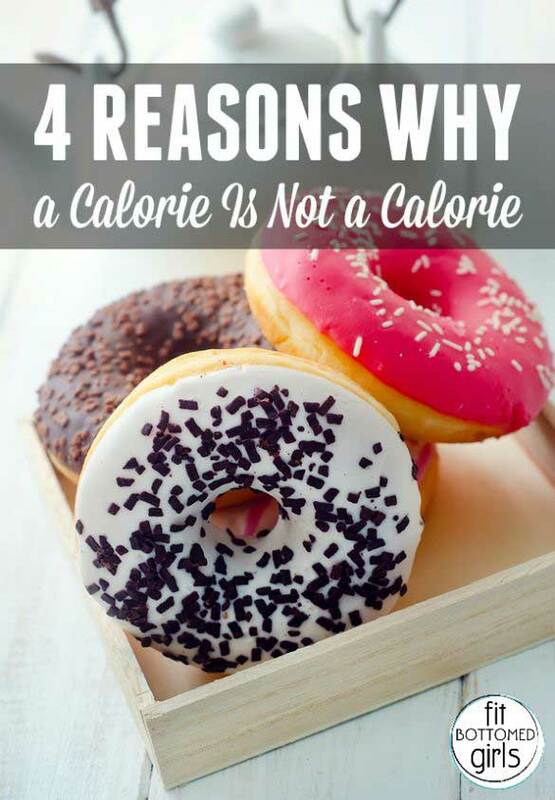 To use your example, there is no way to necessarily know if the 441 (kilo)calorie deficit will be a short-term weight loss due to starvation or due to a hormonal shift in the body’s metabolic regulation. That is to say, you ate 1,600 / 2,000 calories. This may produce a short-term weight loss, however, the body will respond via hormones by decreasing its future caloric intake to, let’s say 1,900 calories. So, then, 1,600 / 1,900 will produce lower weight loss, until your hormones are at the point where 1,500 is required for weight loss. Obviously this is not a scientific extrapolation but I gather that is the “general idea”. Mr. Bailor’s research has been effective to me, and has a huge influence on my life. I’m not saying I can PERSONALLY agree with everything he recommends, because everybody is different. For example, I love cheese and other meats that are naturally high in fat. I understand the value of water, protein, and fiber, but it’s a little more difficult for me to give that up. Also, I have had extreme frustration with exercise, due in large part to the fact I am uncoordinated and the exercises must be done precisely to be done right. Neither diminishes the scientific merit compiled by Mr. Bailor, it’s just I have a hard time doing them 🙂 However, despite this (and a weekly cheat day) I have noticed a huge improvement in my blood pressure, health, and sleeping habits – the latter of which is critical to me because I have epilepsy/sleepwalking issues. And, ultimately, I think that’s Mr. Bailor’s message: eat well to be healthy. Enjoy the fat loss which will accompany this journey. There is a ton of false information, and people just don’t get it. I find myself preaching this stuff to my clients on a dialy basis. Some just don’t understand the value of specific calories, and specific carbs. Keep the good information rolling! Hello, So I totally agree, calories are not equal. Its so hard to get the message across though because of the entrenched image the media had painted, and the perception of what health food is. Thanks. I too am not confident with how counting your calorie intake work in loosing weight when there are also times that you actually can’t count the calories you’ve taken in. Anyways, good that it’s been clarified here. The question is what foods (fuel) causes the metabolism of the human body to cause it to store fat? Starches sweets, grains primarily are a key player in causing the hormonal changes of excess glucose, excess insulin and the body in preservation mode to save itself diverts the glucose into fat cells because fat cells in the human body are alwyas willing to receive excess glucose and save it as fat. it’s biology fact. Lean protein sources, 10 servings daily non starch vegetables and non fat high protein dairy/whey protein sources will not spike glucose, will not cause excess insulin response and will therefore not cause fat gain. Continued menus of this daily food plan will result in healing the bodies metabolism and allow the body to shed excess fat. I’d challenge readers to follow the podcasts to hear the actual scientific studies and research of the metabolism and biology of the human body contained in Jonathans book, website and podcasts. On the other hand if readers are satisfied with their current fitness, fatness and nutrition goals then carry on, keep up the good work! the complete list of all podcasts and interviews is available on itunes.